Ramji Rao Speaking sequel, part 3 malayalam movie is expected to get rolling by the end of 2013. Heard from the grapevine Mamas Chandran who had donned projects like Pappa Appacha and Cinema Company is reported to direct the movie. Mamas is currently busy with the script works of this upcoming venture. The 1989 release Ramji Rao Speaking is still one of the favourite movie among family audience who enjoy it on the small screen. Directed by Siddique–Lal duo, this movie creamed with humour starred Saikumar, Mukesh, Innocent and Rekha in the lead roles. Inspired by Hollywood movie See The Man Run and hindi film Do Ladke Dono Kadke, Ramji Rao Speaking was the entry for many including Siddique-Lal, Saikumar, Rekha, N. F. Varghese, Harishree Ashokan, and music director S. Balakrishnan in front and behind the screen. Riding on the grand success of the movie, a sequal was made in 1995 with the title 'Mannar Mathai Speaking'. But still the first part of the movie does find a permanent place in the hearts of millions. As sequels and remakes are common in malayalam film industry, Heard from the grapevine part 3 of the movie is under planning and would get rolling by the end of 2013. Mamas Chandran who had donned projects like Pappa Appacha and Cinema Company is reported to direct the movie who is currently busy with the script works of this upcoming venture. 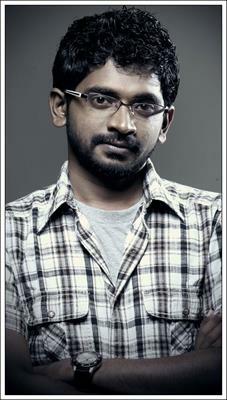 A report suggests that young actor Asif Ali has been roped to play a vital role in the movie. Mukesh was stayed as a highlight in both the movies has opted out of this upcoming project. Mamas who made his directorial debut with Paappi Appacha with Dileep and Kavya Madhavan produced with a budget of Rs 3.5 Crore ran for more than 100 days and collected Rs 10.15 Crores from the box office. His second project titled 'Cinema Company' with new faces Basil, Sanjeev, Shruthi and Badri in lead was a romantic comedy drama which did average business in box office. It is known that the producers are planning to cast the same actors along with the popular artistes in the industry.